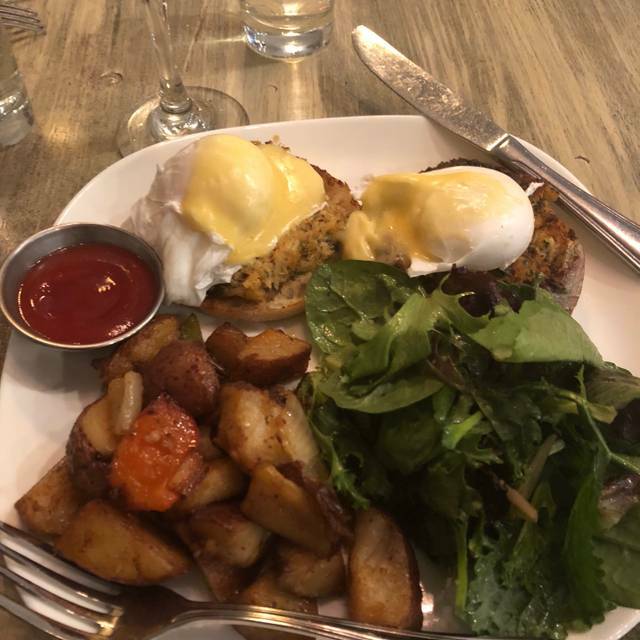 We had a great experience at Brunch on Sunday! The food was amazing and the service was great. The menu offerings are diverse and unique. We will definitely return! I am an out of town we and visit Alexandria about once a year with my brother. Mason Social has become our favorite place for an annual dinner. We love the rockfish platter and it was as good as we remembered. It was a busy Saturday evening which made the noise level too high for us to have much conversation. Next year we will reserve earlier before the young crowd takes over. Great vibe. A friend and I went for dinner with our two kids ( 17 months and 15 months) the food was great, the staff super accommodating we will certainly be back! Nice restaurant in the north end of old town. Great menu selection and pleasant wait staff. Enjoyed my dinner entree of Rock fish, nicely seasoned and not over cooked. I will return to try the other goodies on the menu. We loved our time at Mason Social. We sat outside, which I highly recommend if the weather is warm enough. The sidewalk seating is nicely decorated with string lights. It's also dog-friendly outside, which is nice for those who have four-legged friends or enjoy their company. Our server was one of the bests I've ever had. She was funny and nice and just overall enjoyable. The food was also excellent. Our favorite dish was the fried chicken and brussel sprouts. My husband wants to go back and get it again. Great fried chicken with hot sauce, Mac and cheese and fried Brussels sprouts. Fried green tomatoes are also great. Rockfish could not have been smaller or thinner. Not enough food on the plate. Our waitress Lela ? Was fab! Food was great and the entire evening was very enjoyable! Great Monday night deal on burgers. Cocktails were good not great. The staff were slow to come out of the kitchen and greet us. However, after that, everything went very smoothly, and food and service was excellent. This was our third time to Mason Social, and I am hoping this Tuesday off-peak experience was an off night. The kitchen could not seem to get any of our orders or the timing to bring out food right at all this evening. Food would be brought out to the wrong table, or shrimp provided to the person allergic to shellfish and who ordered portobello. My husband’s food was remade after failed first attempt, and he did not begin eating his meal until our party of 8 had completed our dinner. The waitress comp’ed him with a cocktail, which was a nice gesture. 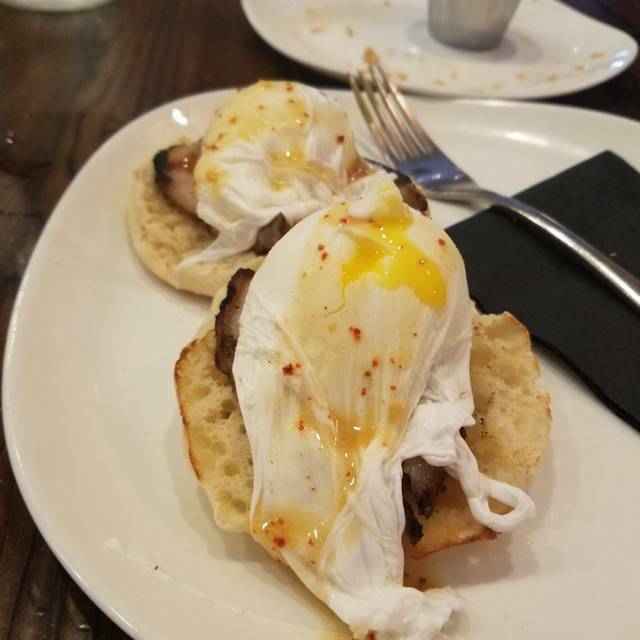 I am a fairly understanding patron who recognizes a rough night, but when a kitchen staff brought out a third incorrect attempt at one dish and responded to my friend’s request to redo with an eye roll and frustrated exhale this was something (perhaps a few things) I believe deserves being addressed. Thanks for your consideration and attention. Amazing food! Their deviled eggs are the best I've ever had. Great salads, great burgers. It's all awesome! Noise level is nice for conversation with your group, services is always good, and food is good. I have eaten her several times and have always been happy. Would recommend - especially for Monday-Thursday. Was loud enough on the Monday so expect the Friday-Sunday time frame must be rocking'. Wasn't impressed with the food quality and portions were on the smaller side. Fine dining portions of mediocre food. The dining area was extremely loud and difficult to hear someone across the table. This is an amazing joint with a neighborhood feel, DC cuisine and great prices. If you’re looking for a hidden gem, this is the place to be. You cannot go wrong with any of the menu options, but if you have to pick just ONE, it has to be the biscuits and lamb gravy for brunch or the fried chicken and mac and cheese for dinner. DO IT! You will not be sad! The reincarnation of Mason's (a year plus ago) with new owners is wonderful!! It's a fine place for winter indoors and summer outdoor dining. The food was great---sausage and salad appetizers with paella and duck breast for entrees were all excellent. The wine list is very good and varied in both taste and price. Altogether outstanding. A city option in the country. Great brunch !! All just awesome ! Mason Social has a comfortable local pub atmosphere with good service and good food. 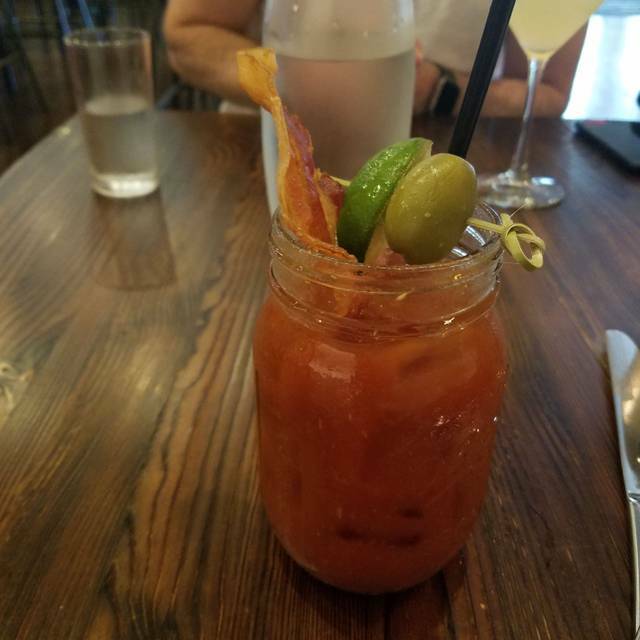 We went there for brunch on a rainy Saturday and had some drinks and brunch food. The "Sleepy Pigs" appetizer is batter dipped mild sausages that are then lightly fried. The batter coating becomes delicate and flaky with a moist meaty center. It comes with a sweet mustard sauce that some of us liked, though I personally felt it needed more mustard and less sweet. We also ordered the Smoked Salmon which was delicious, but it is a big appetizer. Recommend sharing that with 3 or more people. Also had the Crab Cake Benedict and the Tasso Bacon Benedict- both were great. Decent selection of wines and beer and a great bartender that actually knows how to make a good Sazerac. A great place to go to if you are in Alexandria. Great service; excellent host and waitress. After several meals at MS, this remains a wonderful neighborhood casual dining favorite with solid cooking. Our entrees were superb; I had the rockfish, fresh BF had steak frites. Steak was cooked perfectly; overall, a tasty dish. Southwestern salad was lacking; a lot of lettuce and tortilla tangles though did enjoy the avocado; didn't have enough ingredients to give it a southwestern pop! Wine was slow to come, but the entrees weren't; timing could have been a little better. Service was fine and friendly. Ambiance is subtle and soothing. I’m not going to sugarcoat this. The food was awful. The veggies with the hummus were wilted, soft, and felt like they had been left out. The rockfish tasted spoiled and was very firm - like it had been cooked days before. The shrimp and grits were seasoned with liquid smoke, and the accompanying pork belly was cooked tough. 2 / 3 into the shrimp and one of them had come out cooked, but off-tasting and soft as if it had gone bad. This was not a case of we didn’t like the food or it wasn’t to our taste. We left feeling queasy and having serious doubts about kitchen practices. 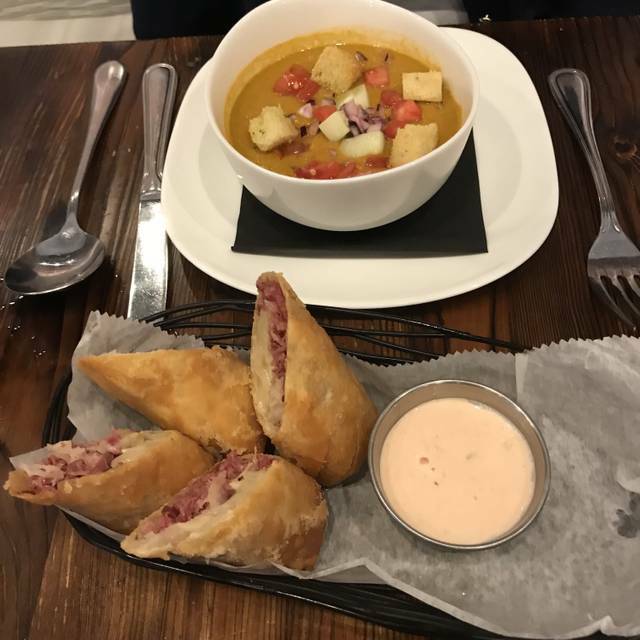 I’ve never written a bad restaurant review, but this is definitely the worst meal either of us have had in the DC area. The noise level in the dining room is very loud. I think it may be acoustics because it was the same on prior visits. Food is just OK but specialty cocktails are good. Our recent visit was our second. Several years ago, I had fried chicken which was over fried. This time, one of our party ordered Peruvian chicken which was stone cold when it arrived, and the chips that came with my tuna app were stale. My cesar salad was mediocre. The manager was most apologetic and did not charge for the chicken entre. On the other hand, my husband said his salmon was the best he has ever had. I would hesitate to recommend to a friend, but our friends say they have enjoyed a number of recent meals there. Great Sunday brunch at Mason Social. Good food, fair price and great ambiance. The food. I can’t say enough. Amazing. I had the fried chicken and the wife had the rockfish. We were both blow away. We’ll be back! My guest and I wanted to order the same meal, server wasn’t listening and heard share. Instead of double checking she assumed she was right and after 40min everyone got food except me. She looked like a deer in headlights, did nothing to resolve the issue. No manager came by. Not worth the cost. Pleasantly surprised! Visited on a very busy Saturday night. Bar was very loud with a few boisterous patrons, but impressed the bar tender politely asked them to tone it down. Drinks were great, and the dining room atmosphere was nice. Our waitress (Carly) was awesome, and our food was really good. Hostess was crabby and really couldn't communicate, but it was a busy night. 4.5 stars! Waitress took a long time, didn't seem too focused on customer service. Waitress was very short with my party. Food was only ok, not what I expected for the price. 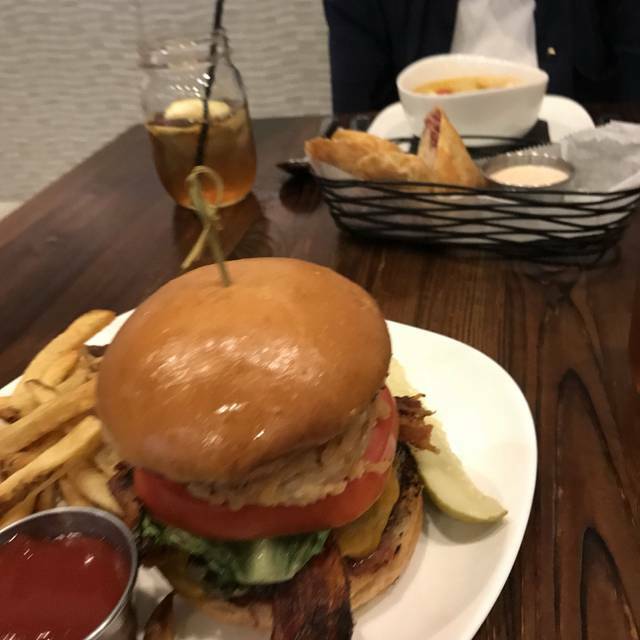 My sister and I went to Mason Social for the first time during Restaurant Week. We were excited because we found several things on the menu that sounded appetizing. The appetizers were decent, the fried green tomato and deviled eggs. The mains left a bit to be desired. My sister ordered the jambalaya. It was a soupy mess of grease and? Jambalaya does not look like that. I had fried chicken, which by itself was fine. However, the macaroni and cheese side looked exactly like it came from a blue Kraft box. Holy cow! Dessert was satisfactory. We most likely will not return. There would be no reason to. It was an overall disappointment. We loved Mason Social. I wish I had gotten our servers name as she was fabulous. She was attentive, nice, didn't hover and had a great attitude. And other staff were great. It was Restaurant week so we all got different apps and salad starters to share. The Rockfish was cooked just right and the brussel sprouts were the best I've had in a restaurant. I had given open table a heads up that I was visually impaired and the hostess asked where we'd like to sit. We chose the big table and the lighting was great. The waitress asked a bit later if it was bright enough and if not, they could turn the lighting up. Very special. That has never happened. Thank you for a delightful and wonderful evening. Great food and we could hear each other talk! Great American/bar type food. I got the burger - best one I've had in a long time, cooked perfectly! Cocktails we're yummy too.